The self Adhesive Corner Shelf is EXACTLY as advertised. 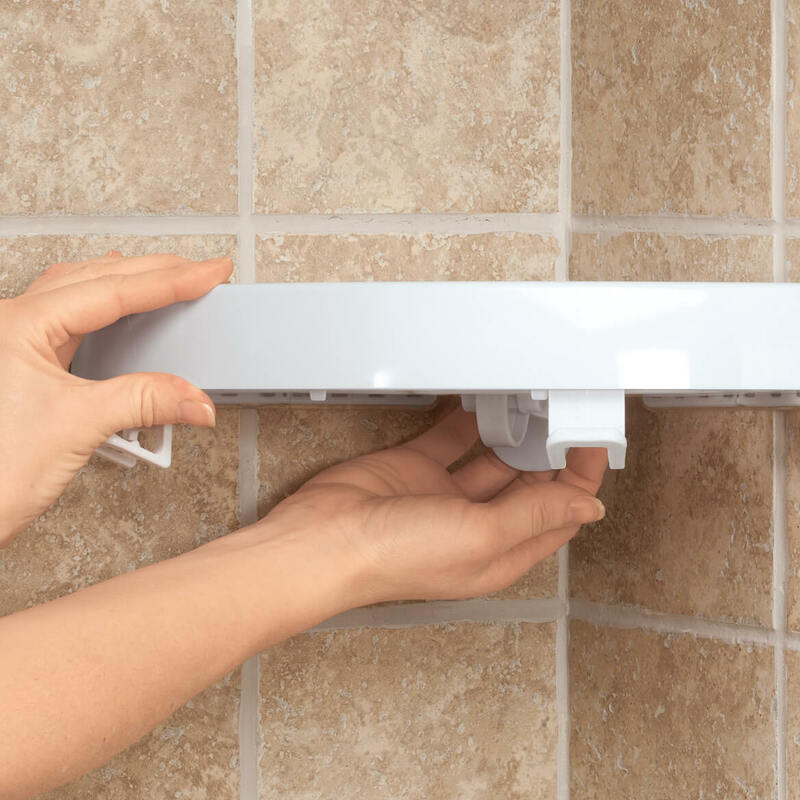 I web searched the Adhesive Corner Shelf before buying, and found great reviews; the best price hands down is with Miles Kimball. Since I've made several more purchases, and I'm a fan of both the product, and Miles Kimball! 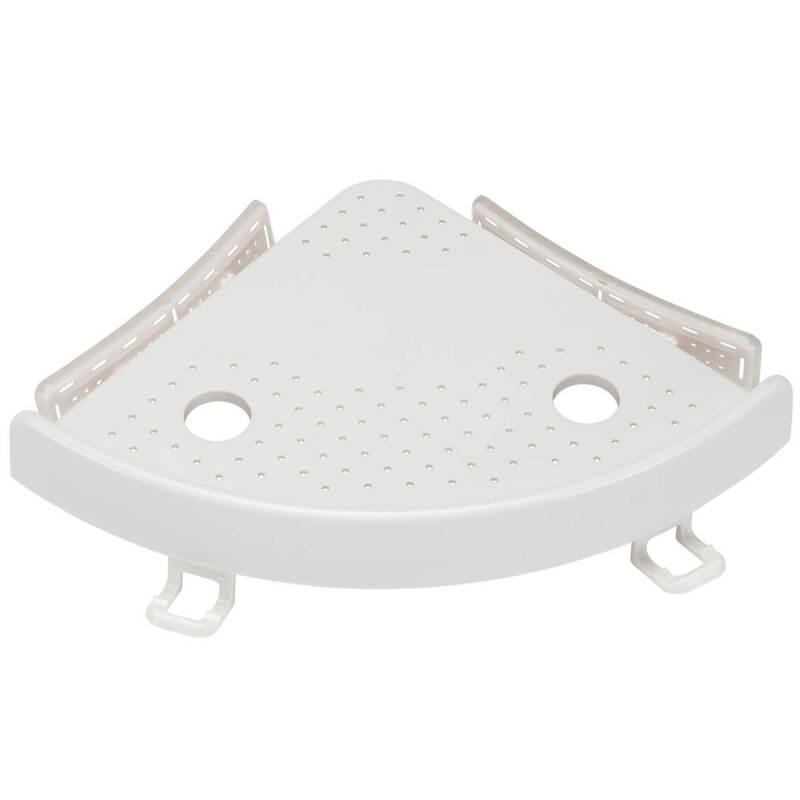 Rather than boring my newly refurbished shower for extra shelf, this piece of shelf really and truly comes in handy, cheaper, strong, durable and easily placed on any corner of the wall. Its so attractive and inviting as my friends said. Undoubtedly we are very pleased. 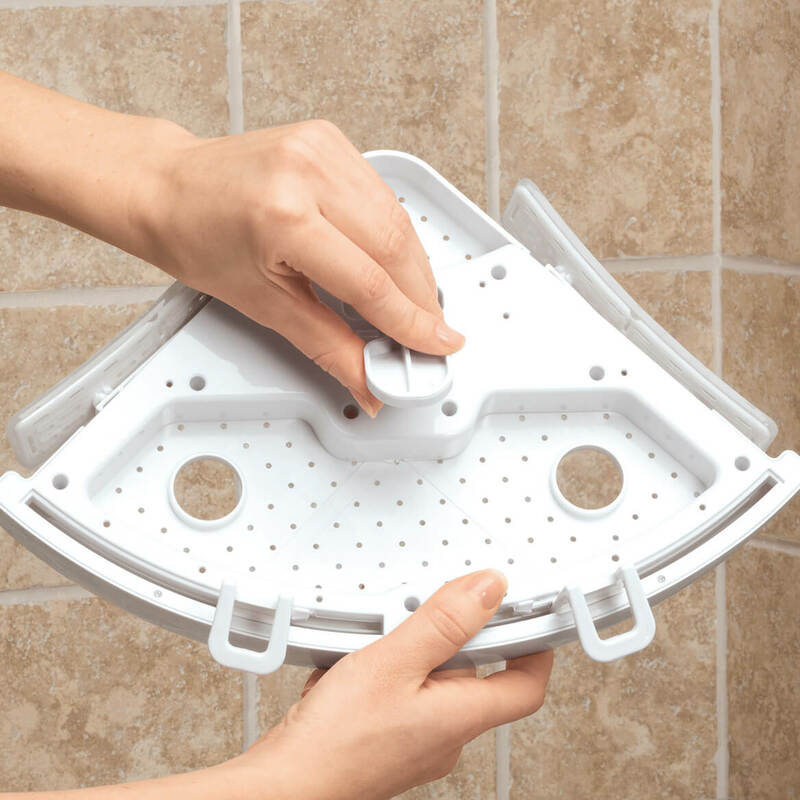 Three attempts to attach this shelf to my clean tile shower failed. It fell each time, even without anything on the shelf. This doesn't hold. I put this up several times only to hear a huge crash several minutes later. I have already put this where it belongs, in the garbage can. Don't waste your hard earned money its worthless. The product did not work as advertised. I could not get it to stick to the walls in any way. Because my husband was tired of our razors just sitting on the tub ledges. 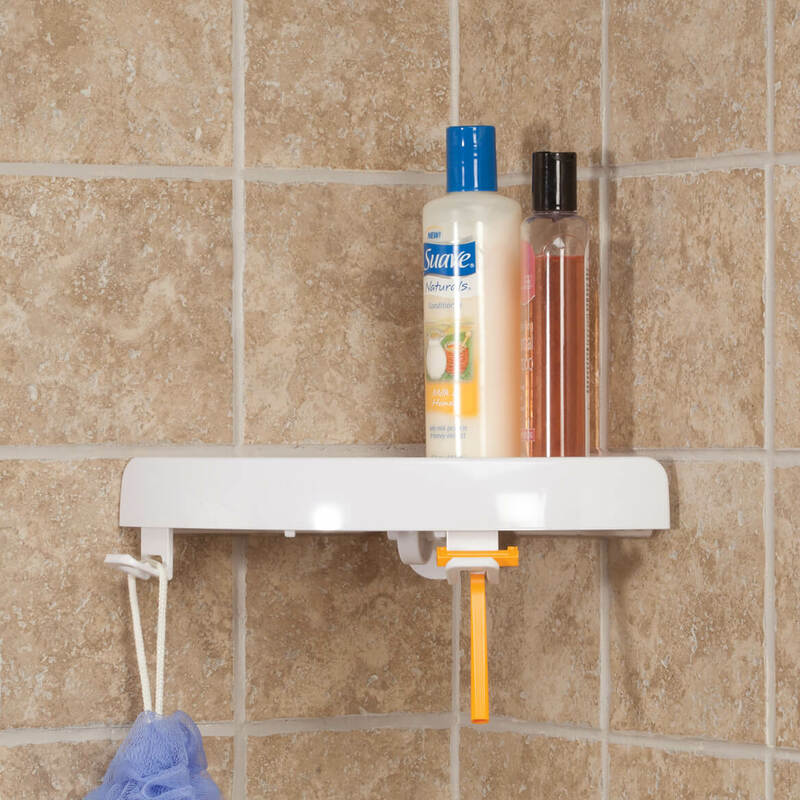 We need a shelf in our RV shower. I've been wanting something like this. I just hope it's not too big. I just ordered it, so I don't have it yet. They wont a stay up. How do you get them to stay up? BEST ANSWER: You will need a clean an flat level wall and they will hold, but if the wall is not flat and level forget it. But they will work.